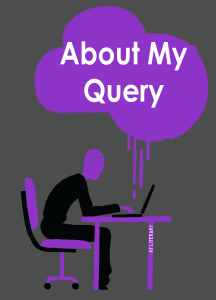 Once a regular feature on the blog, I’m delighted to bring back our About My Query posts. Every week, one of the agents or our valuable reader here at KT Literary will read and critique a query letter sent specifically for analysis. We don’t pull queries to critique from our general slushpile, so if you want to take part, please send your query letter to AboutMyQuery@ktliterary.com, and we’ll get back to you with a possible pub date and let you know who’s going to do the critique — either me (Kate), Sara, Renee, Hannah, or Hilary. Not sure what a query critique entails? Read on, or check out our extensive archives! A new AMQ will post each Friday! As a Biology major and chemistry minor with the intention of becoming a neuroscientist, I never dreamed that I would write a book – instead, I dreamt one. The first in The Rising trilogy, Rise Against takes place in a futuristic United States ruled by a totalitarian government where global warming wreaks havoc daily. Sloan had just finished her freshmen year of college when the President declared a critical shortage in earth metals, forcing her and the rest of the middle and lower classes to become the new expendable resource responsible for running the industrial factories. In the face of imminent climate disaster, she and her little sister escape the factory with the help of a brave, mysterious black man, who Sloan finds it increasingly difficult not to develop feelings for. But escaping from the government-controlled work camp is just the beginning. Can the trio survive trekking through the harsh climate global warming has created? Will they make it to a safe haven, or are they doomed to fall into the hands that suppress them? All 95,000 words of The Rising: Rise Against paint a sharp picture of what the environmental future entails for our next generations assuming we continue “business as usual.” It blends fact, fiction, and prediction to create an ominous yet believable future. It aims to unite people not by color, but by the fact that we all share double-stranded DNA winding us together, and this is demonstrated through a beautiful interracial romance between the main protagonists, a love unseen by other major works of young adult and science fiction. I greatly appreciate your time and consideration. Thank you! First of all, thanks for sharing, Stephanie! It’s fun to get back to these posts. I hope our criticisms are helpful. To begin with, I’d say telling an agent that you dreamt your book, while true, isn’t the strongest opening. You don’t need to get fancy with the first paragraph — honestly, it’s ok to even skip it — but if you are going to include it, use it to either tell the agent you’re writing why you picked them to query, or give the strong hook of the story: the one-line elevator pitch. You give the reader some excellent background on the setting of the story, but there’s little about the protagonist or the love interest, who isn’t even given a name. Consider the elements of protagonist, antagonist, plot, setting, and voice, and try to include at least three of those story pieces into the description of the book. We want to know WHO the book is about, WHO ELSE they encounter, WHAT is going on, WHERE they are, and HOW you’re going to tell the story. Right now, I’m afraid it sounds somewhat generic, especially as we get into the final paragraph. I also would advise against trying to paint your manuscript as a tool or device — you should be selling me on the story you’re telling, not what the book is going to do to society. Also, before criticizing a genre, I would recommend asking around, particularly of young adult librarians. I’m certain we could come up with a list of biracial YA couples that’s quite extensive, so by including that final sentence here, your query comes across as ignorant of the genre you’re writing in, which I’m sure isn’t your intention. Yes, we could use MORE racially diverse stories, but calling yours one of the only is a turn-off, not on. In terms of telling the agent you’re querying a little bit about yourself, you do that in the opening, but I would move that down to the end of the letter — honeslty, and no offense, but the story should be more important here than who you are. tl; dr: Call for About My Query posts! Details above. ← Happy Book Birthday to Emmie Mears! I am seeking representation for my middle grade science fiction manuscript, GABEN AND THE EARTH’S VENOM, complete at 51,000 words. Given your interest in science fiction, I thought it might capture your interest. Eleven-year-old Gaben, one of the gray-skinned inhabitants of planet Harte, stumbles through life with brains and recklessness. He shamed medical healers by finding the cure to a fatal disease infecting many hartians, but there isn’t enough of the antidote. Gaben’s mother, a research astronomer, flies on a spaceship with other scientists to their twin planet, Earth, to collect the needed snake venom. Gaben curiously wanders into the cargo hold and accidentally becomes a stowaway. On Earth, Gaben follows his mother off the spaceship invisibly, and then it relocates to a different part of the planet. Luke, a fifteen-year-old human boy discovers Gaben and his mother. Intrigued, Luke keeps their existence a secret, hiding them in his attic. Gaben’s mother gathers rattlesnakes for transport. Since Gaben’s ability to disappear isn’t fully developed, he might be seen by Luke’s next door neighbor—he’s an FBI agent. If the FBI finds Gaben, he and his mother could be held captive for experimentation and never return to planet Harte to save his dying grandfather. I have also written a prequel, VENOM FOR PLANET HARTE, about the disease’s origin, how Gaben found the cure, and what he did to save his dying father. VENOM FOR PLANET HARTE is complete at 35,000 words. I am a SCBWI member. I have included the first three pages below. Thank you for your time and consideration. I look forward to hearing from you.